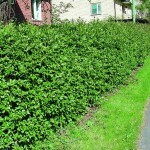 Cotoneaster lucidus, the shiny cotoneaster or hedge cotoneaster, is a deciduous, medium-sized shrub with long, spreading branches reaching heights (and breadths) of 6' to 10'. It is native to parts of northern Asia, and adapted to tolerate colder weather (to zone 4). 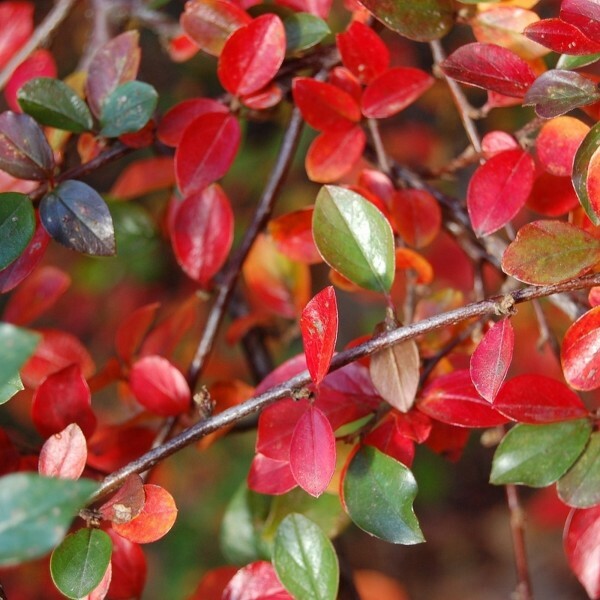 The leaves of Cotoneaster lucidus are dark green (changing yellow to red in autumn), simple, ovate, about 1" to 2.5" long and up to 1" wide, having pubescence on their undersides and growing in an alternate pattern along its stems. Branches are prune-tolerant. Flowers are a pale-pink, small and clustered blooming in early June. Flower buds are imbricate, appressed with loose exposed outer scales. C lucidus grows an attractive, blackish pome fruit, about half an inch in diameter which ripens between September and October. Germination 1. Rub each seed lightly with a nail file softening the hull. Store the seeds in a plastic bag filled with moist sand inside the refrigerator for three months to cold-stratify them. 2. 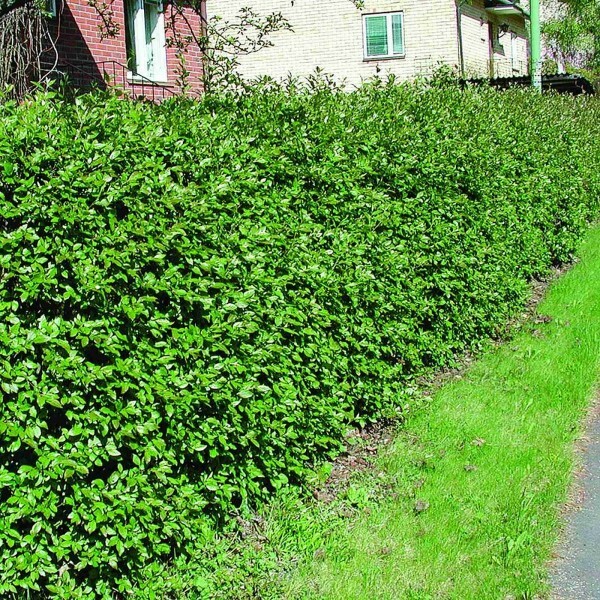 Sow the cotoneaster seeds in 10-15 cm (~5") plastic pots filled with sterile loam. Sow two seeds in each pot to a depth of the seed size. Sprinkling sand across the soil’s surface helps slow the evaporation rate. 3. Place the potted cotoneaster seeds on a propagation mat near a source of very bright light. Set the temperature on the propagation mat to +25C (77F) for nine hours each day. Adjust the temperature to +12C (55F) for the remainder of the day. 4. 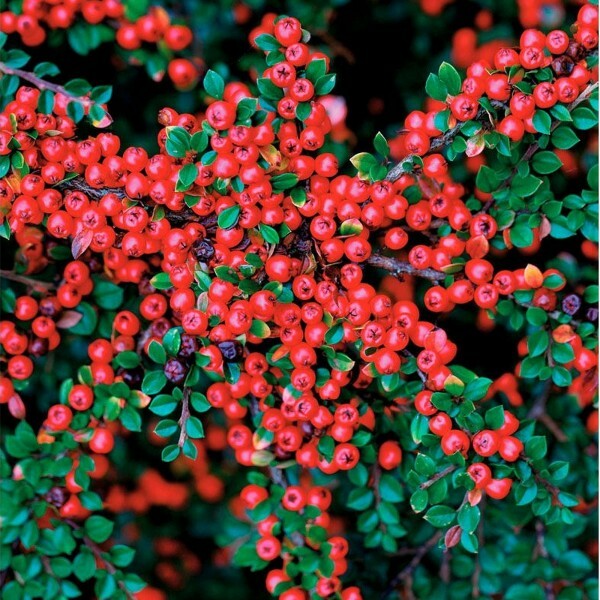 Water the cotoneaster seeds as often as necessary maintaining moisture in the top one-half inch of soil at all times. Add the water very slowly when irrigating keeps from disturbing the seed. 5. Watch for germination in 25 days. 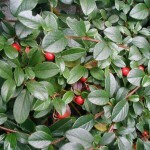 Remove the weaker of the two cotoneaster seedlings from each pot if both germinate. Wait until the seedlings reach 2,5-3 cm (~1") in height before thinning. 6. 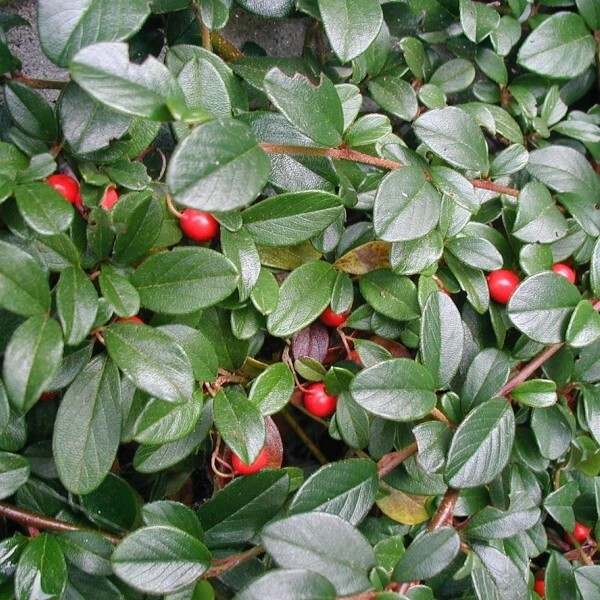 Move the cotoneaster seedlings to a sheltered spot outdoors with limited exposure to strong, direct sunlight. Continue watering, but allow the soil’s surface to dry slightly between waterings. 7. Slowly acclimate the cotoneaster seedlings to strong sunlight in the course of one week until they withstand full sun for five hours without wilting.